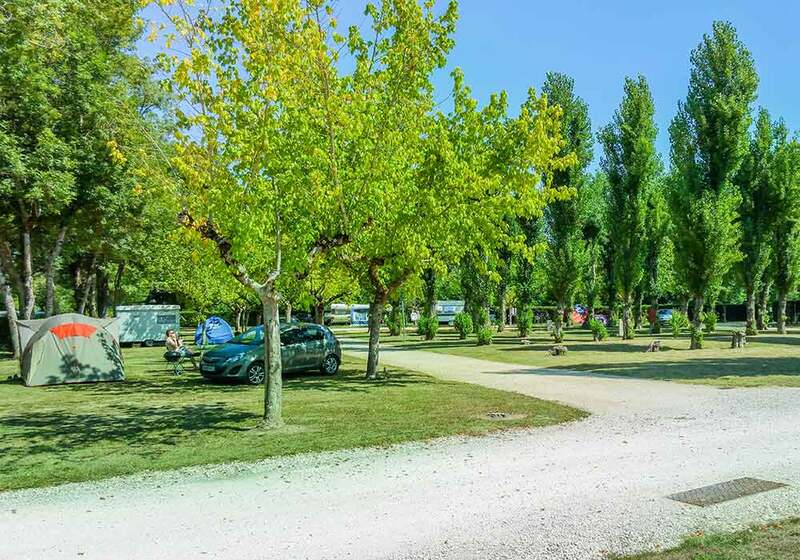 a 3 star family campsite"
Our campsite is located to the west of the White Périgord, where the natural setting and tranquillity ensure you an enjoyable holiday with your family or friends. 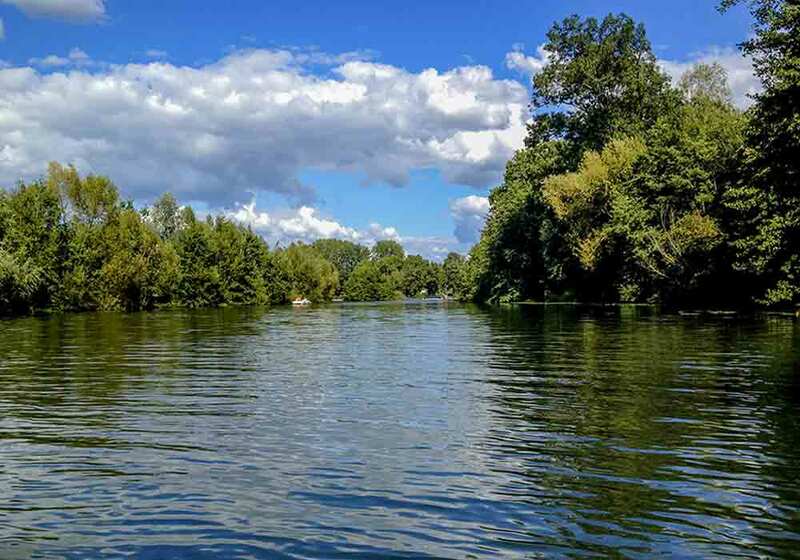 Nestled along the lush river bank of the Isle River, the campsite offers you the exceptional quality of service and friendly reception that the Dordogne area is known for. 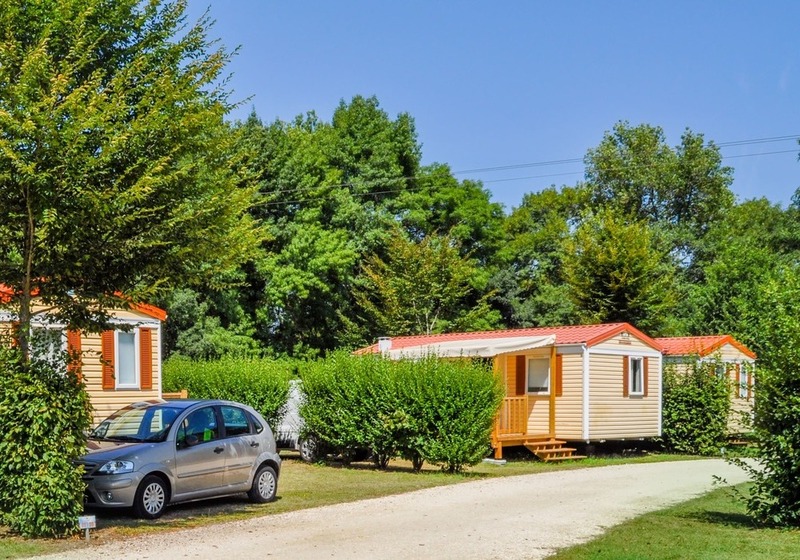 La Cigaline offers 110 camping pitches and a heated swimming pool. Here you can select any type of pitch, from shady to sunny: the choice is up to you. We also propose other types of accommodation, including mobile homes and fully equipped tents. 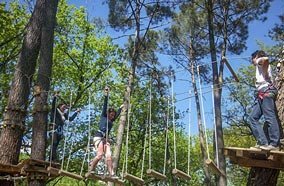 La Cigaline is not just a three-star campsite in Dordogne: it also offers fast food at its snack bar for anyone who wishes to enjoy the atmosphere. 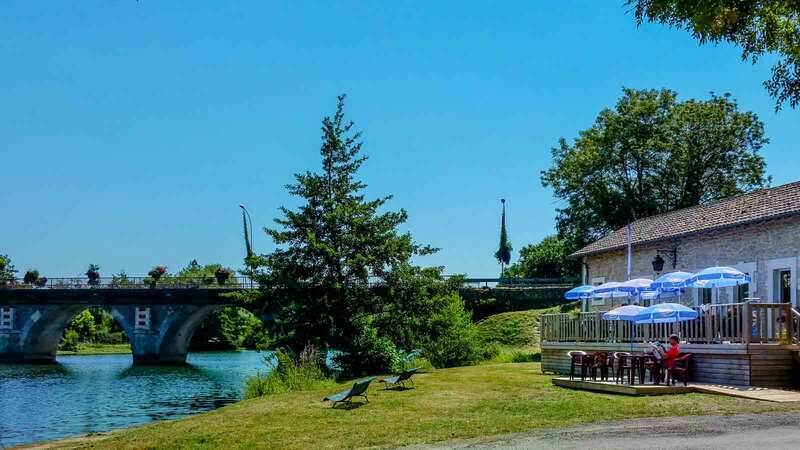 The terrace, built along the Isle riverbank, is available for your enjoyment throughout your stay at our campsite. And for a change from swimming in the pool, the nearby leisure centre awaits your discovery. 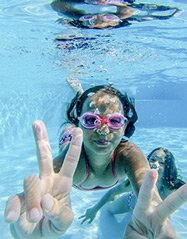 Since 2017, the campsite’s swimming pool – heated to 28°C / 82°F – has been thrilling visitors of all ages. Come have fun or just relax at our swimming area here in Dordogne, including a pool with a depth of 1.3m / 3ft, suitable for leisure, and a paddling pool for children. Relax on one of the many lounge chairs around the pool and make the most of the delightful natural setting of the White Périgord. 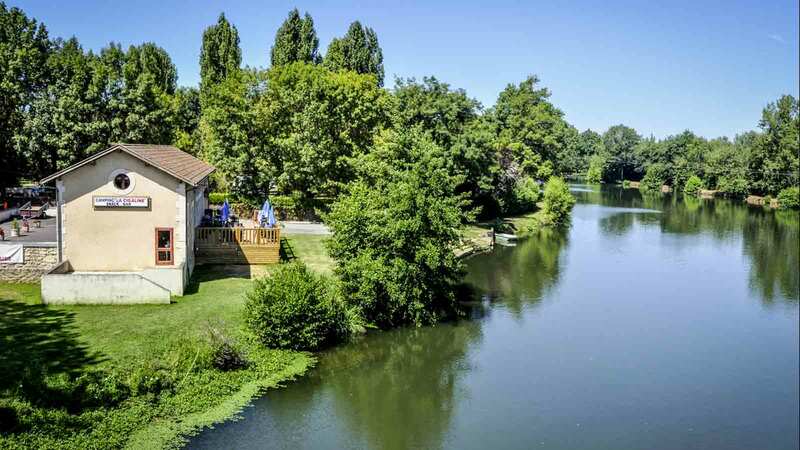 Are you looking for a three-star riverside campsite in Dordogne? La Cigaline is located on the banks of the Isle River. 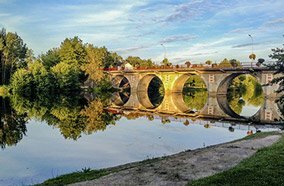 Come enjoy all the advantages of a riverside campsite: fishing, tranquillity, peace of mind, a blend of colours and the coolness of the river in the summertime. 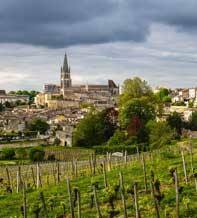 Enjoy this real haven of peace situated near Saint Émilion. 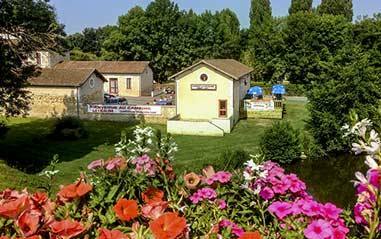 In our three-star campsite located between Dordogne and Gironde, you are free to choose your type of accommodation. Each of our mobile homes, equipped with a semi-covered terrace, can accommodate up to height people. 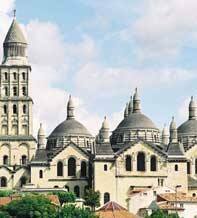 Here in the beautiful Périgord, we also offer atypical accommodations such as Coco Sweets and Tente Lodges. 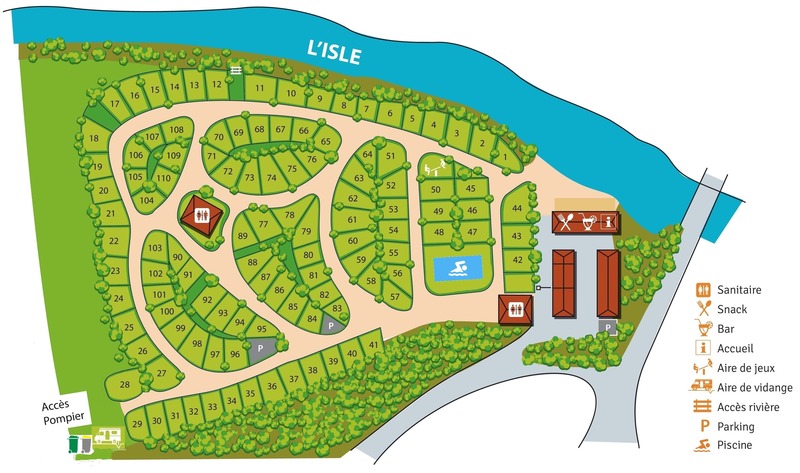 For fans of the tent, caravan or camper you have a wide choice of spacious pitches for rent more or less shaded. 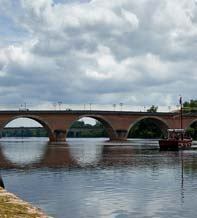 So do not wait any longer, and book the paradise you’ve always dreamed of for your family holiday in Dordogne. 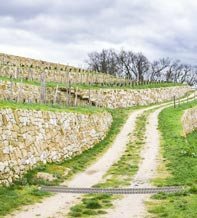 At our three-star campsite in Montpon-Ménestérol, Dordogne, enjoy our programme of convivial activities, including pétanque tournaments, theme dinners, disco nights, music quizzes and bingo. 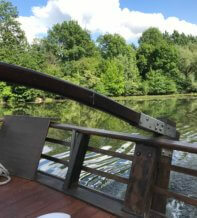 And because children also deserve to enjoy an unforgettable holiday here in the Périgord, we provide them with recreational equipment and special kid’s activities. 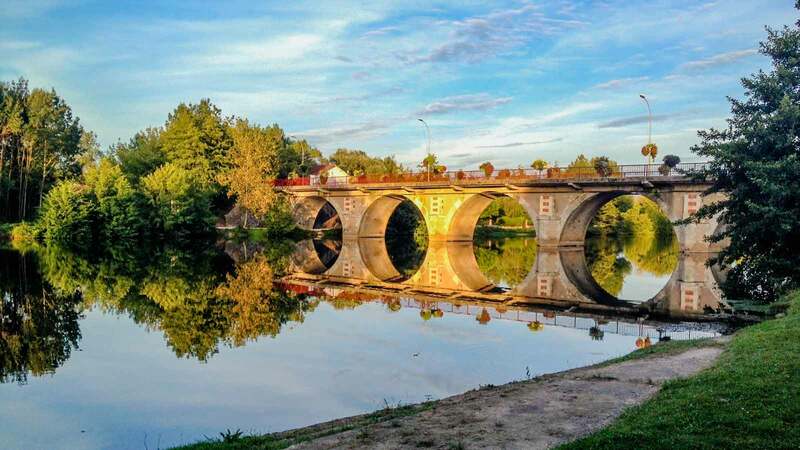 With its central geographic location, the three-star campsite La Cigaline enables you to discover the most beautiful sites of Dordogne and Gironde, from the Lascaux caves in the Périgord to the Dune of Pilat on the Atlantic coast, as well as Périgueux, Bergerac, Saint-Émilion and Bordeaux.